AAA/4 diamond Inn nestled in the quiet forest. Close to Twain Harte, Dodge Ridge and Yosemite. 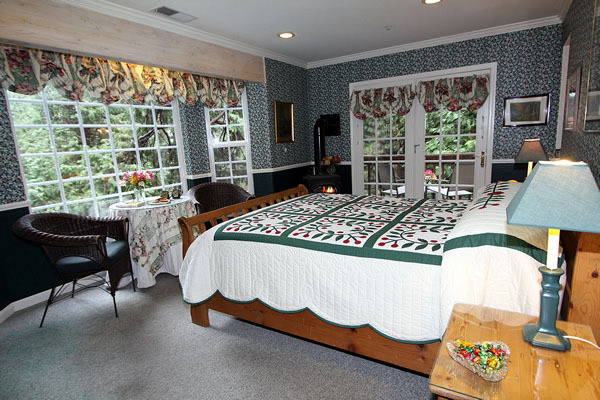 Individually designed guest rooms with private baths, gourmet breakfast. 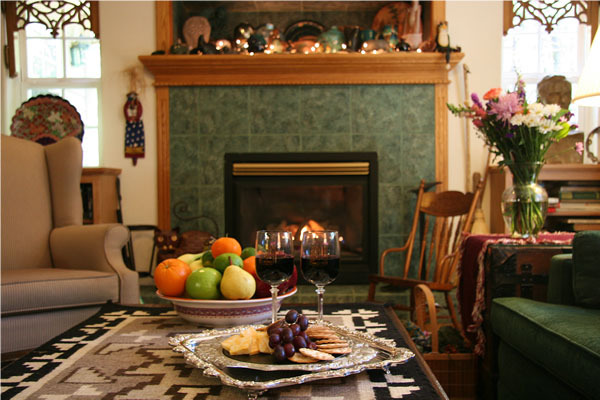 Voted best B&B in Tuolumne/Calaveras counties seven years. Pet friendly. Pet Friendly: We welcome a limited number of “perfectly behaved” dogs with prior telephone reservation to our one acre fenced in property. Please our pet policy. 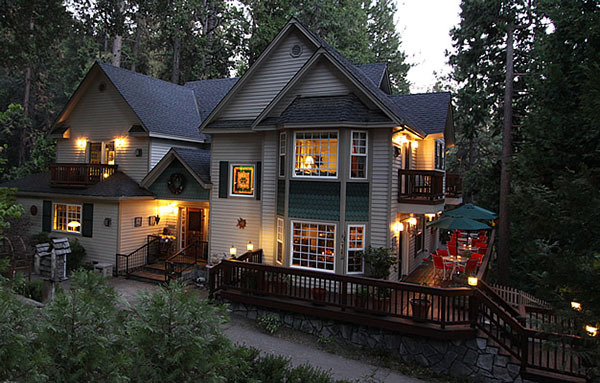 Wedding Venue: We specialize in elopements and small weddings … from 2 to 30 people. Our outdoor setting is ideal for garden weddings. 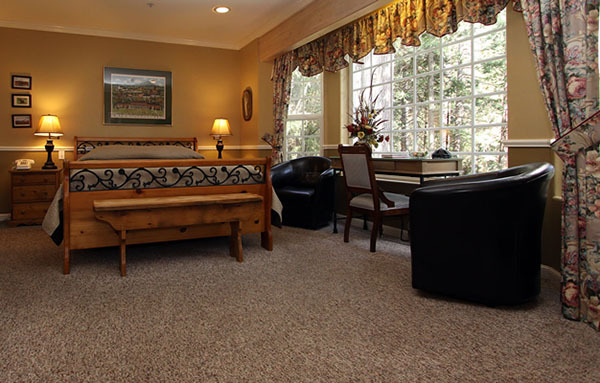 Our elevated deck is perfect for those who what to be surrounded by majestic cedars and pines. We also stage weddings in our living room – with grand piano and casual seating for your guests. Contact Stephanie McCaffrey to arrange your ceremony.